I love Hongkong, I pretty much like Shanghai, but I have never been to Tokyo nor Japan. Having heard amazing things about this country by my valued colleague Thomas (our Administrations Officer), I already had high expectations. Tokyo is well known for having a huge variety of places to stay, however the five star hotels are limited. You can either stay in an International luxury hotel or try one of the fewer privately managed properties. 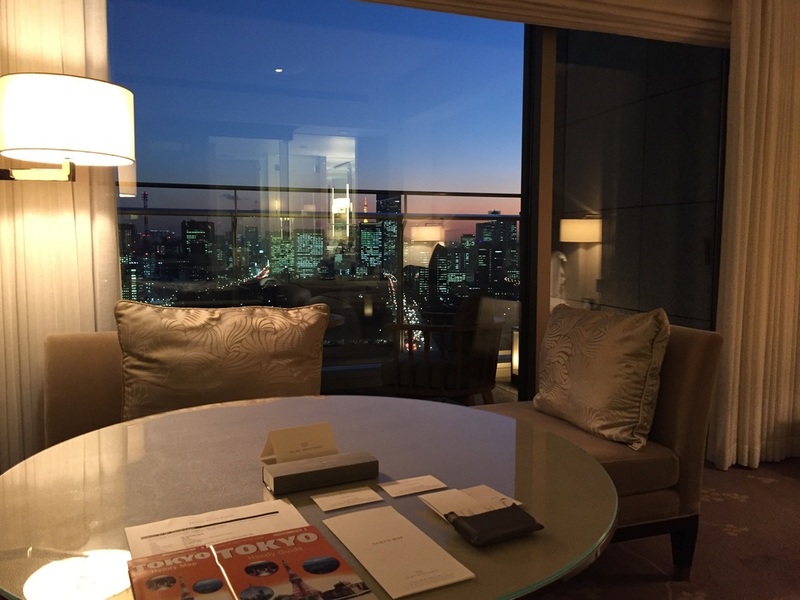 As I was in Tokyo for just three nights, I decided to spend the first two nights in the Palace Hotel Tokyo. 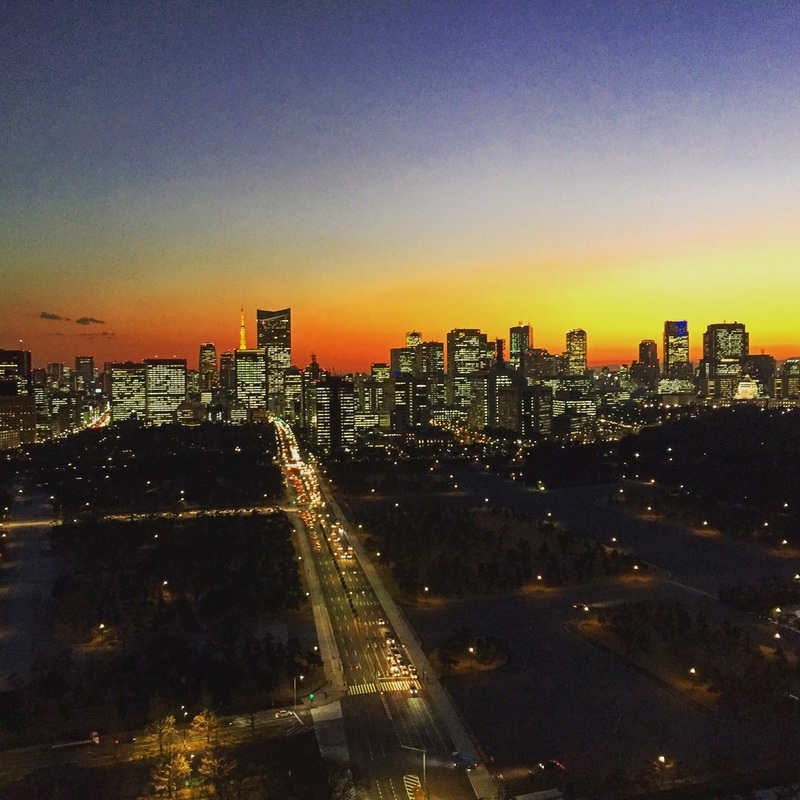 Literally you could say that the location is the best in entire Tokyo, directly on the Imperial Garden, opposite the Imperial Palace and around the corner of Tokyo Station, not to forget the access to the Outemachi station which you could access from the hotel's own shopping mall. Yes Tokyo has got many centers but staying in Marounouchi was the best decision I could have made. When I flew in from Hongkong, I immediately catched the Narita Express and after an hour I was at Tokyo Station. While you could easily walk to the hotel, I was in the mood for experiencing Uber and soon after a few minutes I was sitting in a super comfy Lexus transferring me to the hotel Palace - a truly royal experience was about to begin. I entered the vast lobby and a wonderful scent was surrounding me - I love hotels which take care on this details. Check-in was efficient, the lady from the Concierge welcomed me personally as well and confirmed the restaurant reservations (she always had the best recommendations)! A nice bellmen accompanied me to my room and explained everything. 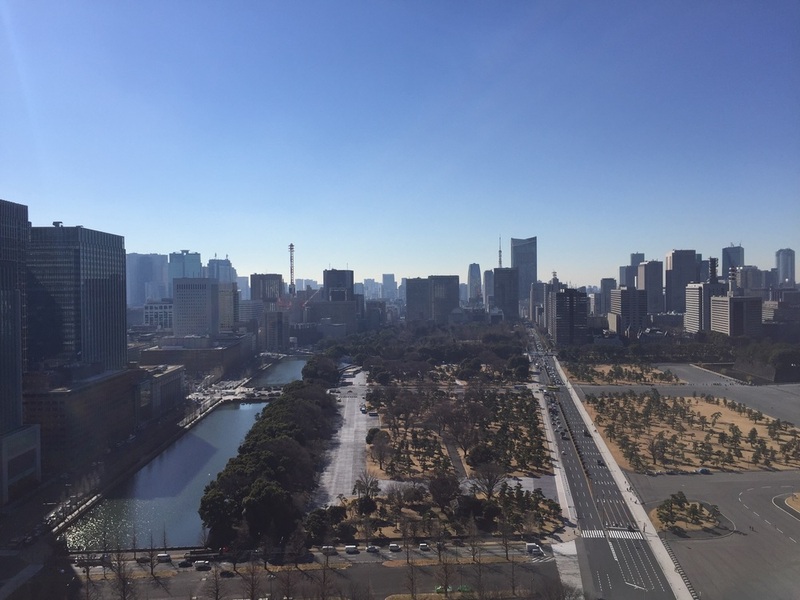 In fact it was an amazing yet breathtaking room overlooking the Imperial Gardens and Palace, Marounouchi and Toranomon Hills. A huge balcony, vast bathrooms and a cool sitting area - things that are rare in a city like Tokyo - are offered at this outstanding property. While you can choose between normal rooms and club rooms, all suites enjoy access to the Club Lounge. I did not have club access, so I don't know if it is worth the surcharge. Anyhow I fell in love with the room itself, the heavenly beds with super comfy duvets and pillows, the bathroom with cool walk-in shower, Anne Semmonin toiletries and bathtub with glass wall so that you could watch the sunset while taking a bath - that's amazing. If you still have not experienced enough luxury, there is a top notch Evian Spa with warm indoor pool, warmer jacuzzi, finally a spacious fitness center with amazing views, and various treatment options. I was a regular guest at their spa, due to the fact that such exquisite facilities are an appreciated plus for me after a day of exhausting sightseeing. Breakfast is either served in the Club Lounge or in the main restaurant. I liked the design of this venue, the fact that you could also sit outside and overlook the peaceful gardens as well as the buffet layout. The only thing I did not like was the fact that they prepared the eggs upon order. For example I tried to order scrambled eggs with ham and cheese, however they served scrambled eggs beside ham and cheese - everything from the buffet. I don't want to be that discerning but sometimes I love to see the cook preparing my eggs. However the entire products were of high quality and I loved their homemade bread. Service was attentive and there was always someone on-site. On the second day, I had a lunch invitation by the PR Manager in their Japanese restaurant. We had an excellent tasting menu followed by a Bento lunch box - of course in a very upscale way. All the products tasted excellent, the service was first class and the views again nothing less than impressive. After lunch I had the pleasure to meet their chef, a wonderful guy. Normally I am not a big friend of Asian cuisine but my recent experiences in Shanghai and in Tokyo changed this fact rapidly! Everything is so fresh and of best quality. Also there are so many staff members even in the smallest restaurant, this leads to perfect and dedicating service - a thing that seems to be disappearing in Europe! So, finally the only thing to add is that Palace Hotel Tokyo is a wonderful and truly luxurious hotel in the mid of an exciting city. While it is one of the only privately managed five-star hotels, you should definitely give it a try and go there for a true Japanese Hospitality Experience. Just be careful, staying there will make you even more discerning when it comes to European luxury hotels - they never can compete with the friendliness and happiness of the Japanese mentality! My colleague Thomas was so right, the Japanese are the friendliest peopel in the entire world, I am sure you will love it! So why wait? Grab your tablet and book a flight to Tokyo and make sure to stay in one of the World's best hotels at a very fair price - they have the best value for price (on the five star market) in entire Tokyo! I was guest of Palace Hotel Tokyo for editorial purposes. However all above expresses my personal opinion.